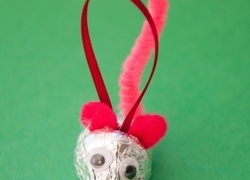 Keep the learning going during the holidays with these holiday season activities. 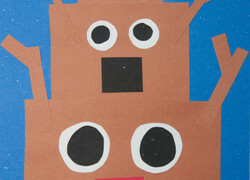 You and your child can make pretzel reindeer cookies together or try the New Year's noisemakers craft project. This candle centerpiece will add a special holiday glow to your dinner table. 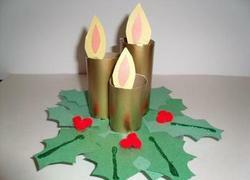 Make a candle centerpiece with your child this holiday season. 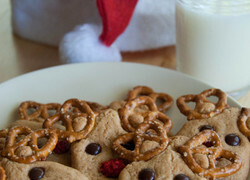 These pretzel reindeer cookies are a great holiday recipe for kids to make. 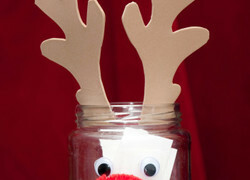 Rudolph and the whole gang agree! 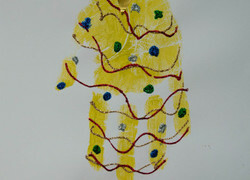 Make a string art tree to celebrate the holiday season with your kid. 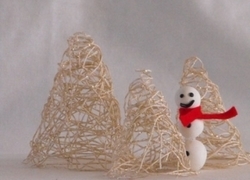 This string art tree craft allows you make a unique decoration using simple ingredients. Celebrate the sweeter side of the holidays with this charming mouse ornament! This writing activity help give your child ideas for personal essays, important thoughts, and embracing a positive attitude throughout the holiday season. Put together a pine forest to help you count down the days until Christmas with your little one. Penguins just may be the cutest cold-weather creatures ever! 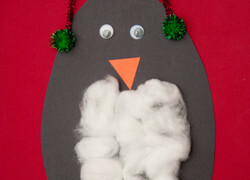 Creating this penguin is a perfect way for your tot to practise cutting out different shapes. 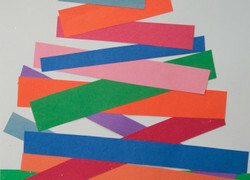 Have your child construct his own Christmas tree from construction paper while cutting, overlapping and measuring to create an adorable modern design. This unique Santa is made only from circles. 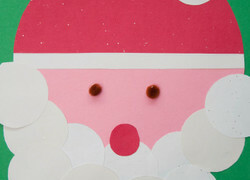 Your little one will have a fantastic time puzzling together Santa's face with this circle-centric activity. 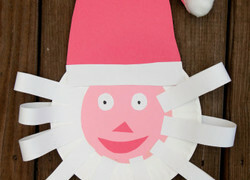 Get in the spirit of Christmas by creating Santa's favorite helpers, the elves! Let your child lend a helping hand while decorating the Christmas tree this year! 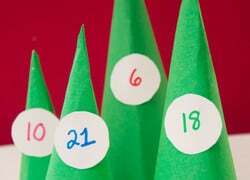 This festive activity doubles as a lesson focusing on the number five. Brrrrr! It's chilly outside. 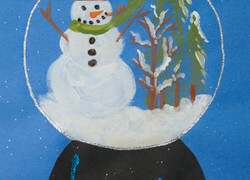 Now's the perfect time to create a snow globe. But, don't worry, you don't need glass for this dome. One of the most important parts of any Christmas tree is what's on top. 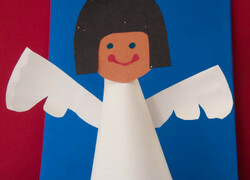 This year, have your child make an angel that'll put the finishing touch on your tree! In this activity, your kid will cut rectangles, circles and triangles to create a portrait of the jolliest man of them all: Santa Claus! 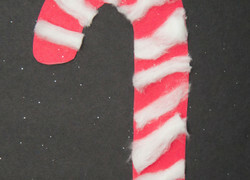 This season, your child will make his very own candy cane decoration. He can make a bunch and put them all around your home! Your little one can welcome the reindeer with an adorable reindeer portrait all while learning the difference between small, medium and large. Your child can count down the days until Christmas while giving Santa's beard a trim. 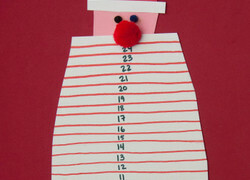 This adorable project bolsters counting and number recognition skills. 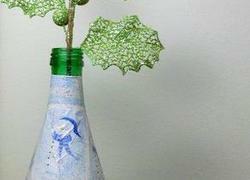 Use recycled wrapping paper and an empty bottle to make this beautiful vase for a great indoor activity when it's cold outside. 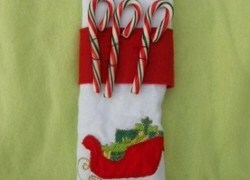 This year, create cute napkin rings to adorn your holiday table. 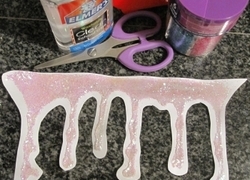 Complete with the drippy, glittery shapes that make icicles so popular, this paper project can be hung everywhere from door frames to tabletops. 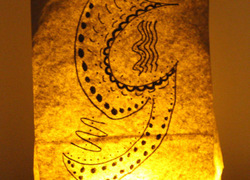 Welcome the holiday season by making your own paper lantern. Learn about traditional light festivals from the United States with this fun, easy activity. This pumpkin snowman will keep your porch or backyard festive from Halloween to New Year's Day. 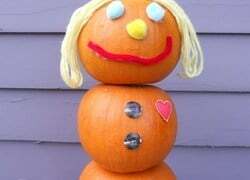 Make a pumpkin snowman and combine the best of fall and winter. 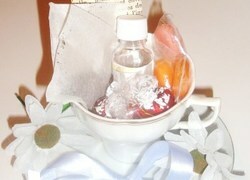 Help your child create a gift set perfect for all the tea drinkers in his life. Photo coasters are a lot of fun, and this tutorial helps you make a unique set of low-cost photo coasters. 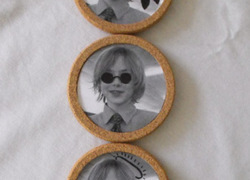 Craft some photo coasters with your child. It's always good to have a little help during the holiday. 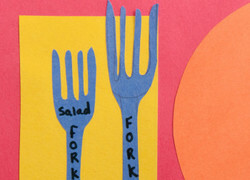 Show your child how to set a table setting and then help him create a placemat map.